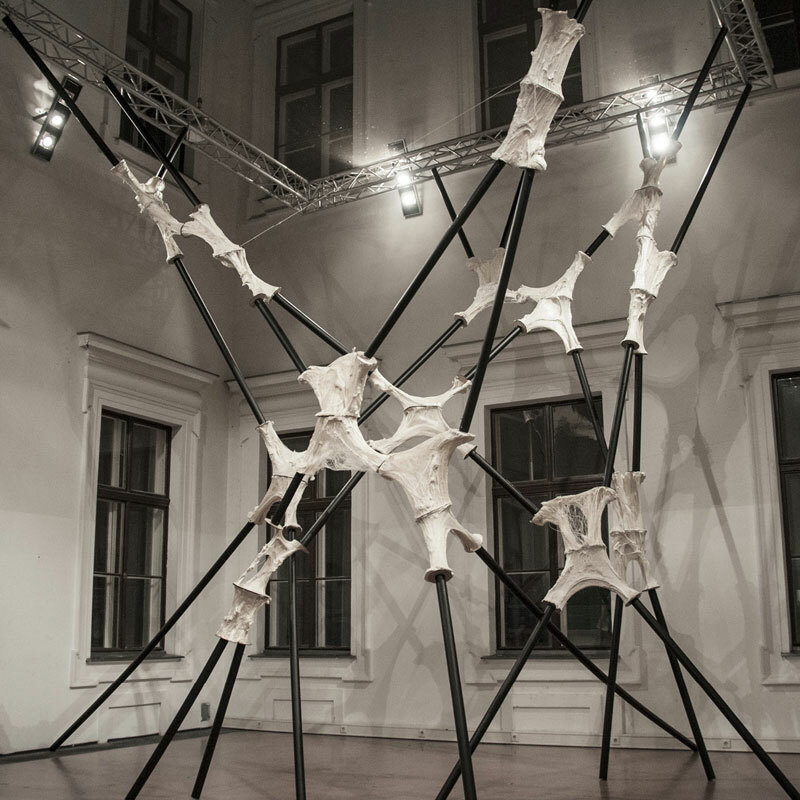 Digital fabrication process is used not to generate standardized structural elements but one-time unique objects for efficient structural stability. Plastic in the construction sector has not changed for decades. How about a whole new way of making plastic components for buildings? Polyurethane foam mixed with additives was used to fabricate the structural joints. This mixtures was thereafter extended at precise angles with the help of robotic arms. Several mockups were tested and they revealed a strong tension ability. Parametric modeling was used in order to defined the exact position and orientation of the several 4-point nodes within the branching structure. 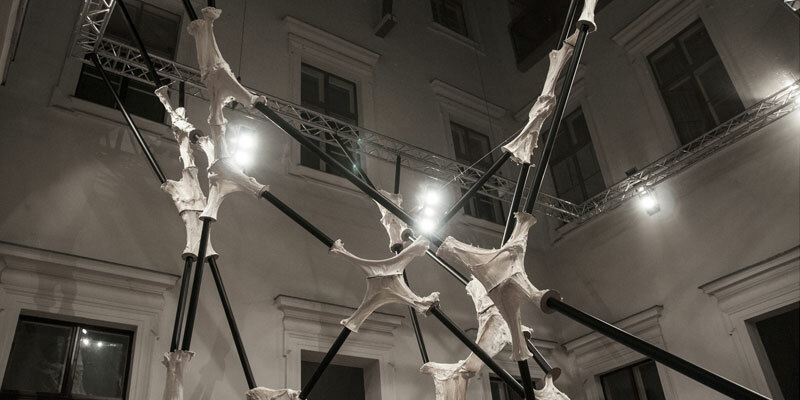 The overall structure was assembled in one night inside the main courtyard of the University of Applied Arts in Vienna. 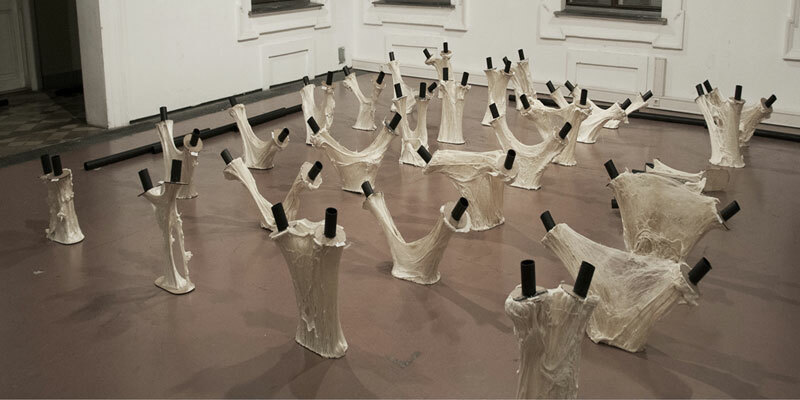 Due to the intuitive material behaviour, each expanded foam node results in being a unique piece which reveals the intrinsic beauty of the material’s properties. This project is a beautiful example of how we can express the beauty and structural potential of a material. 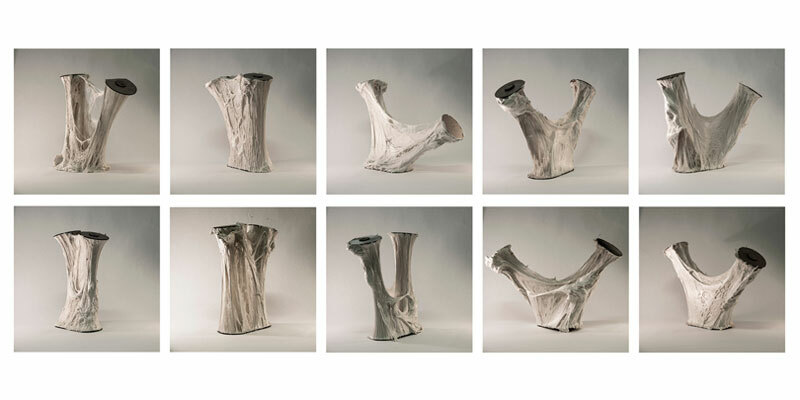 The digital fabrication process is used not to generate standardized structural elements but one-time unique objects.